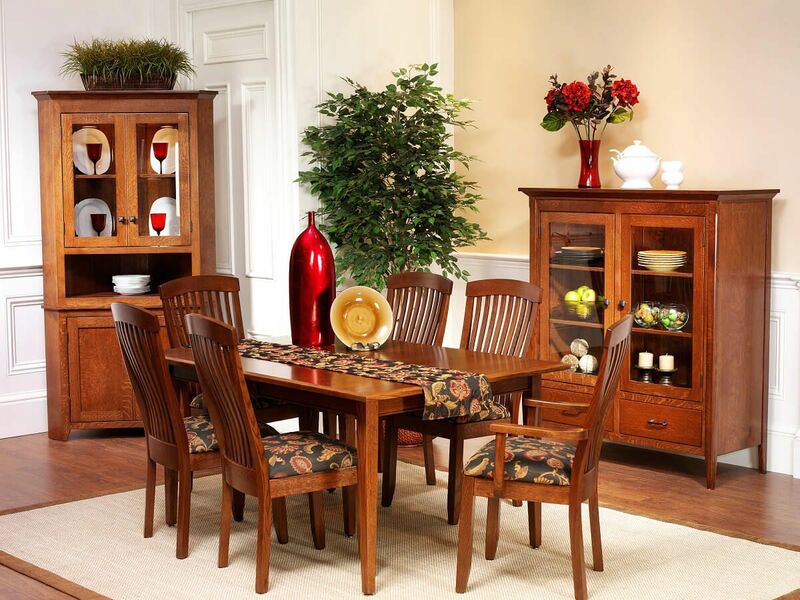 Using the finest of solid hardwoods, our Amish artisans have handcrafted this magnificent Monmouth Shaker Corner Hutch for your kitchen or dining room. 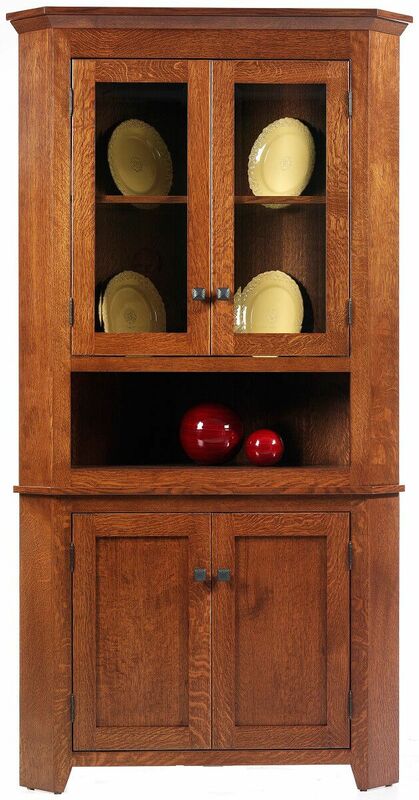 Solid wood construction and mortise and tenon joinery ensure your Monmouth Shaker Corner Hutch will last a lifetime. Straight Shaker styling combines inset cabinet drawers with a prominent moulding. 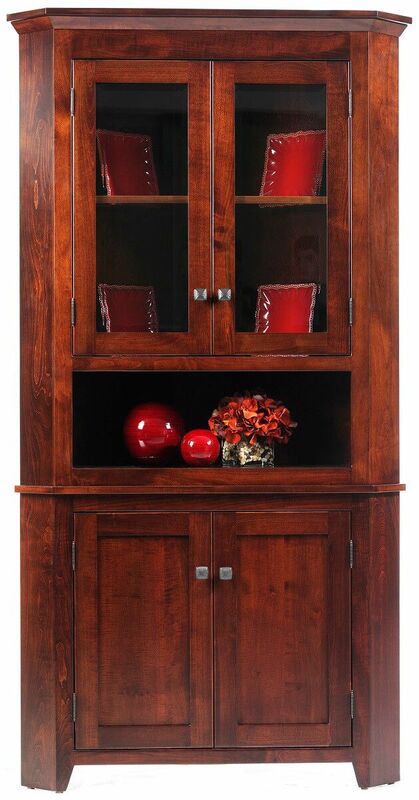 Your classic corner cabinet is equipped with recessed display lighting, adjustable hardwood shelves, and a solid ship lap backing. 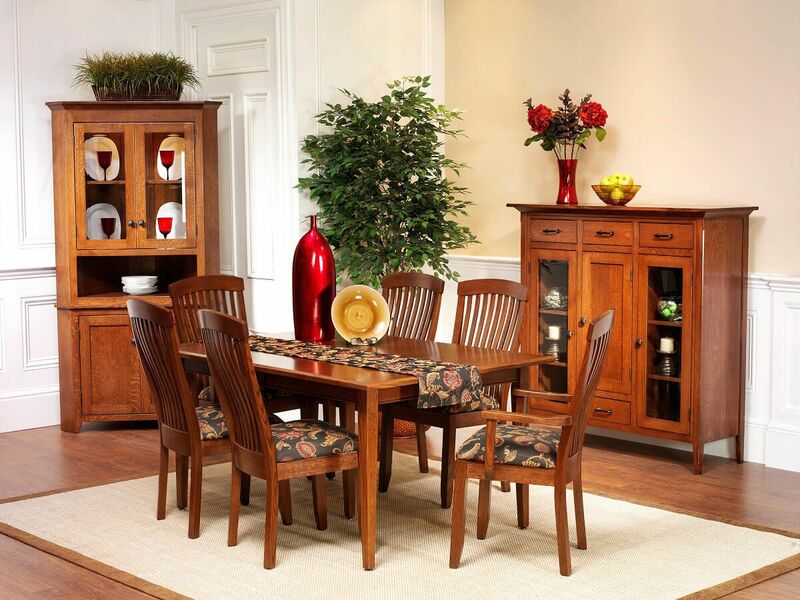 Shown here in both Quartersawn White Oak and Brown Maple, your Monmouth Shaker Corner Hutch will made-to-order. 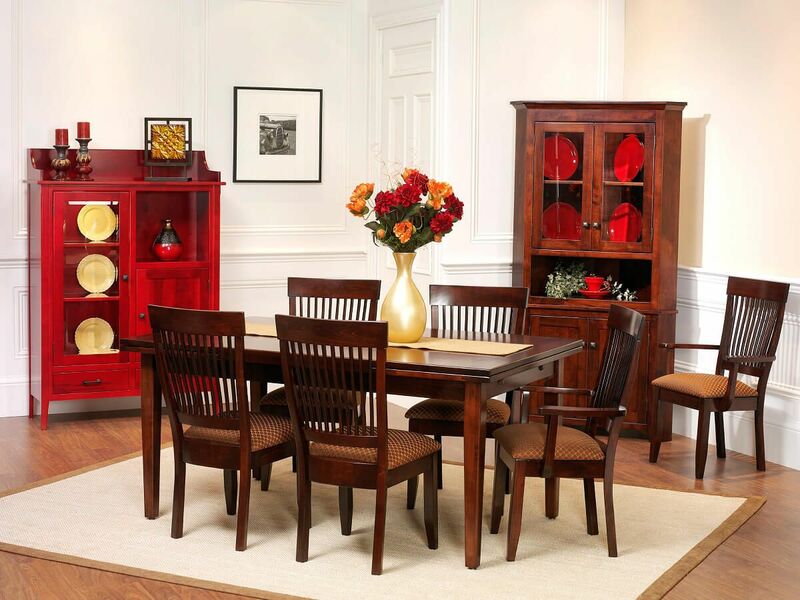 For something more formal, try this china cabinet in Cherry with a dark, hand-rubbed stain. 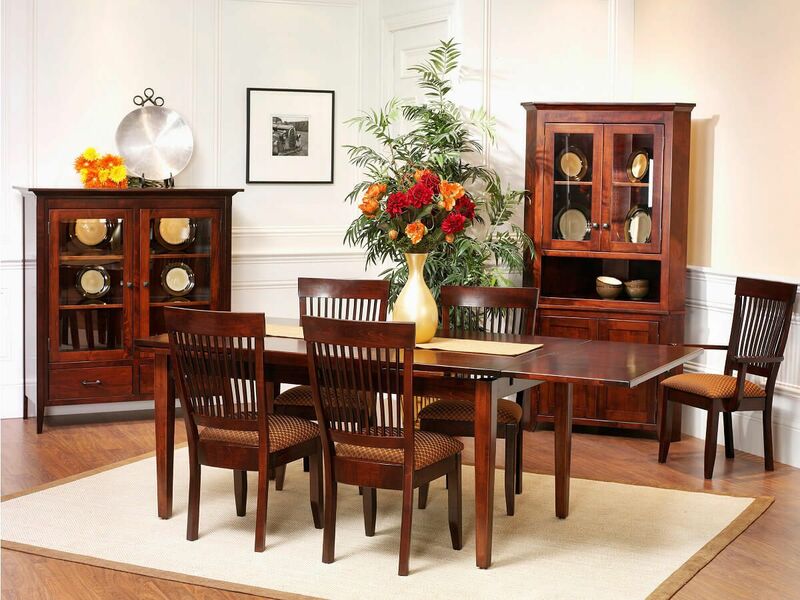 Choose your preferences from our options menu and our craftsmen will create the display case you design.